WWC collaborates with fellow conservation organization in Utah, regionally, and nationally. Learn More..
You’ll find WWC staff and volunteers at Utah Wildlife Board meetings and Regional Wildlife Advisory Council (RAC) meetings advocating for wildlife protection. Learn More..
Western Wildlife Conservancy is the only organization in Utah working for protection of carnivores full time. We have been advocating for wildlife for over 20 years. Learn More..
Upcoming Events - Stay tuned for upcoming events! And be sure to visit our blog, issues and encounter pages! 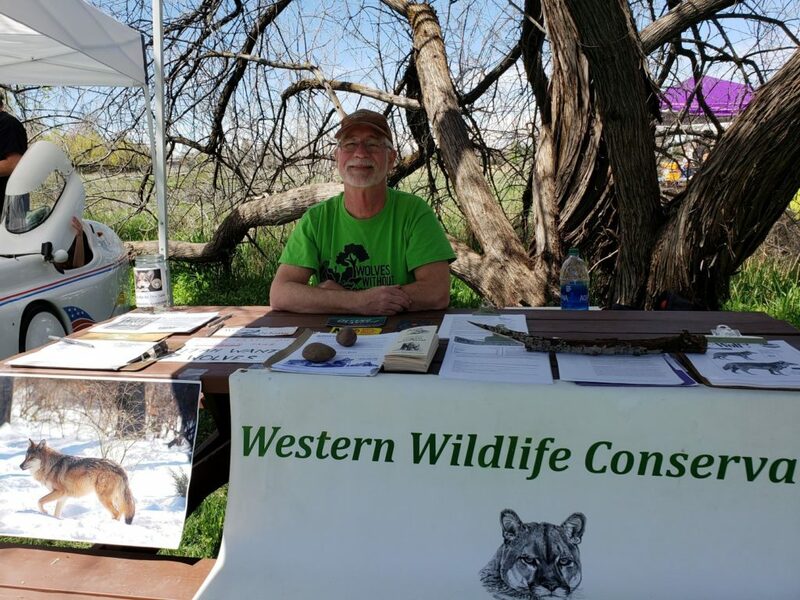 Below Is Bob Brister Manning the wolf table at the ogden nature center for earth day!